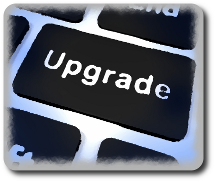 Upgrade-UX (or upgrade-ux) is an open source framework developed to assist in patching and/or updating Unix Operating Systems in a consistent and repeatable way. Especially in the industry it is forbidden just to run yum update (on Linux) to update your Linux system, therefore, upgrade-ux may proof to be a handy tool to guide you through the patching and/or update process as it follows a track you control (evidence gathering, pre/post executing of scripts, logging, and so on). Upgrade-ux is completely written in Korn Shell which is widely available on all UNIX Operating Systems from Linux, HP-UX, Solaris, AIX, and others. The nice thing about upgrade-ux is that the each Operating System follows its own track (via a directory tree structure) so they do not influence each other. Currently, HP-UX and Linux (for RHEL based Linux distributions) trees are fully populated. People who ever worked with Relax-and-Recover will immediately recognize the internals as it is an exact clone (however, reworked a bit to make it fully Korn Shell aware). In case you have questions, ideas or feedback about this document, you can contact the development team at: gratien.dhaese at gmail.com.